This week's feature is 2 KIds and Tired Cooks' Milky Way Brownie Bites. I have a terrible weakness for chocolate and caramel. And brownies. Together? Yum!! 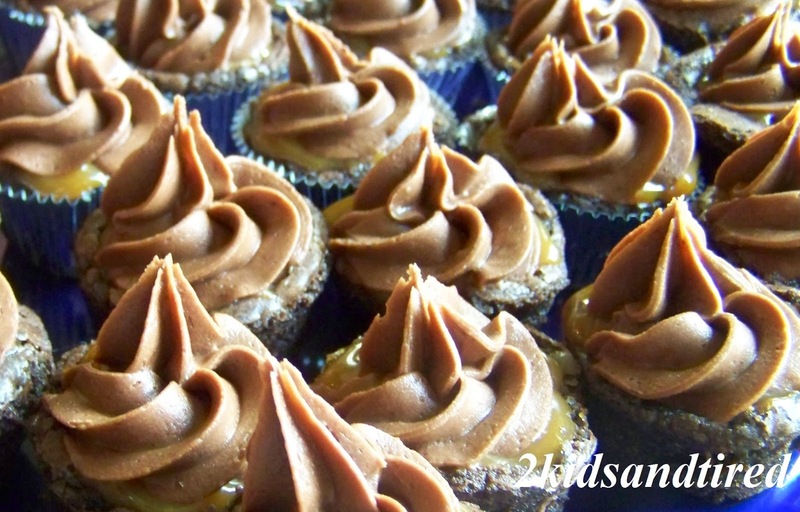 To see how to re-create this yummy treat in your kitchen, head over and see this wonderful site. Thank you for hosting this every week! I LOVE all the tasty recipes. Thank you so much for featuring my Milky Way Brownie Bites. They really are delicious. I appreciate you hosting this every week. I've discovered some great recipes and blogs!